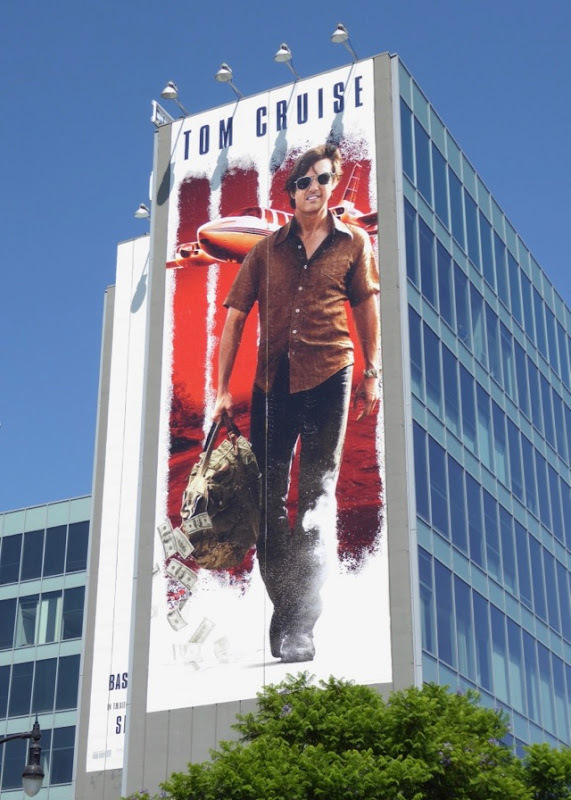 With news of a Top Gun movie sequel in the works, you have to wonder is Tom Cruise simply in it for the money these days, or does he just like the fame game and having his face plastered all over the city skyline? 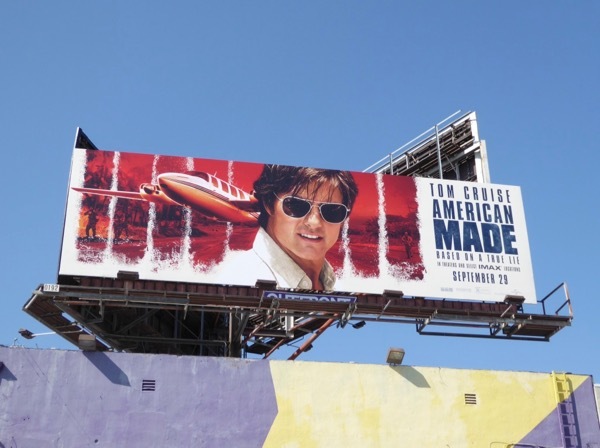 In his new crime biopic based on a true story, American Made, he plays 'Barry Seal', a commercial airline pilot recruited by the CIA and a drug cartel in the 1980s for espionage and drug smuggling endeavours between South America and the USA. 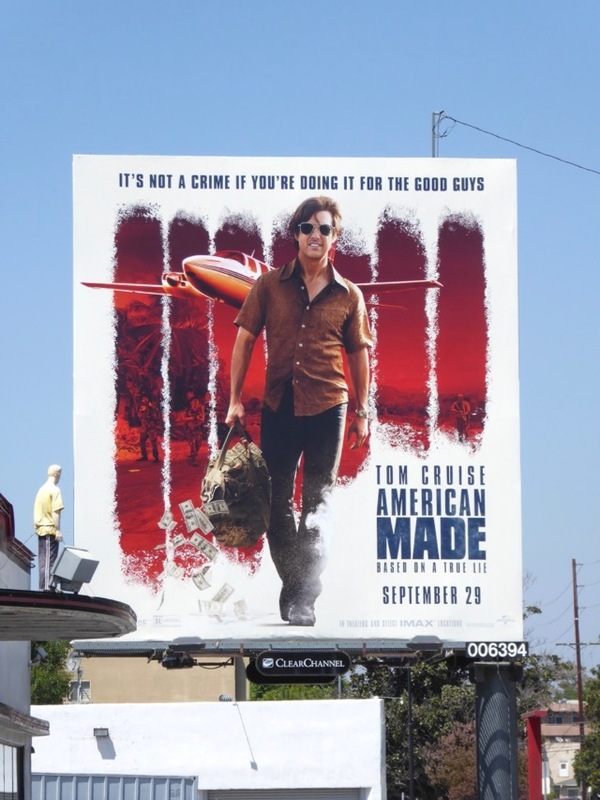 You know it's not going to end well when you're doing covert reconnaissance, cocaine smuggling and gunrunning, and you're making a profit off shady government agencies, rebel factions and drug traffickers all at the same time. 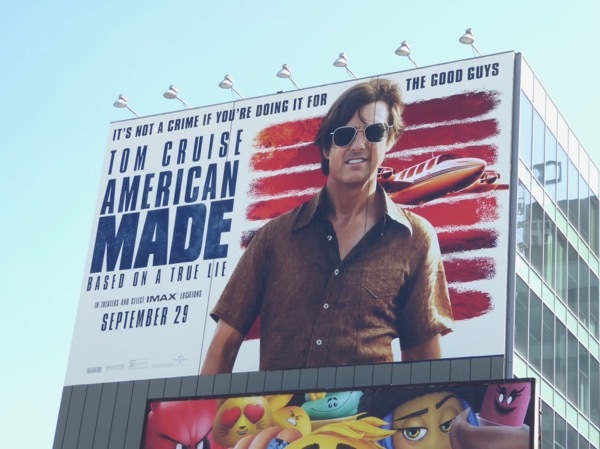 That's a recipe for disaster, no matter how much money you make. 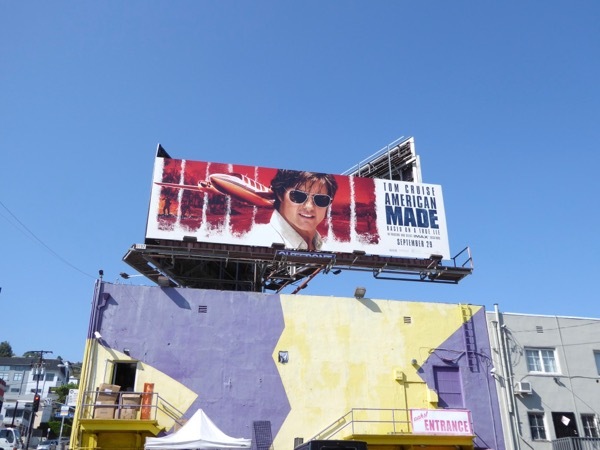 It feels like these movie billboards have been in L.A.'s sprawling skies for a long time and were photographed along Highland Avenue, Cahuenga Boulevard, San Vicente Boulevard and the Sunset Strip from August 14 through September 5, 2017. 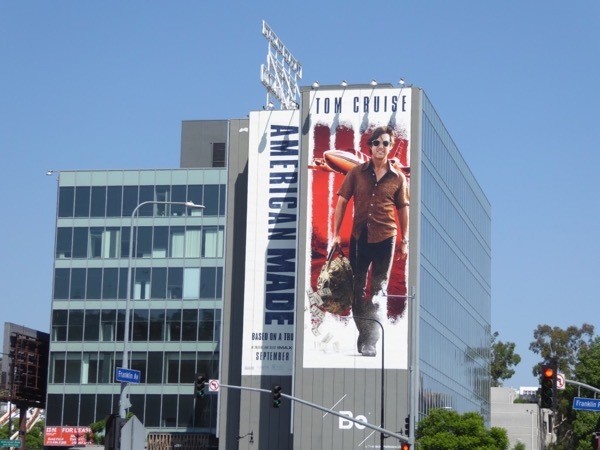 Tom Cruise fans can also check out these billboards for The Mummy reboot, these Oblivion movie billboards, these Edge of Tomorrow movie billboards, these Jack Reacher movie billboards and these Mission: Impossible film franchise billboards. 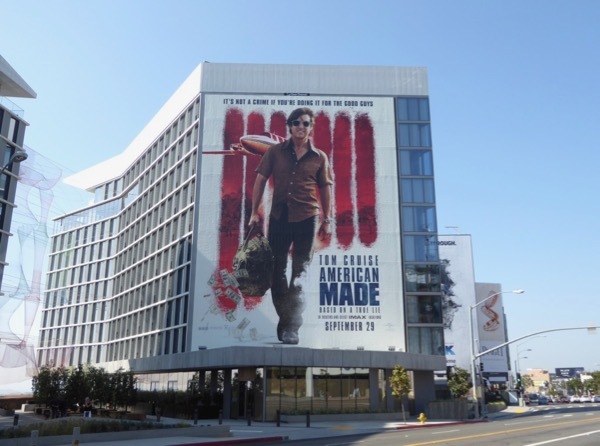 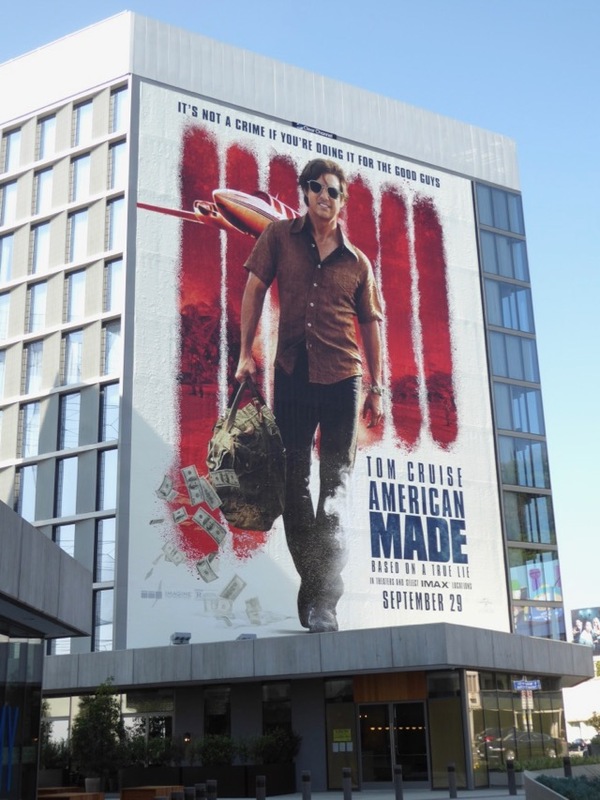 Only time will tell whether American Made will soar at the box office this September, or if you will be just throwing good money after bad by buying a cinema ticket. 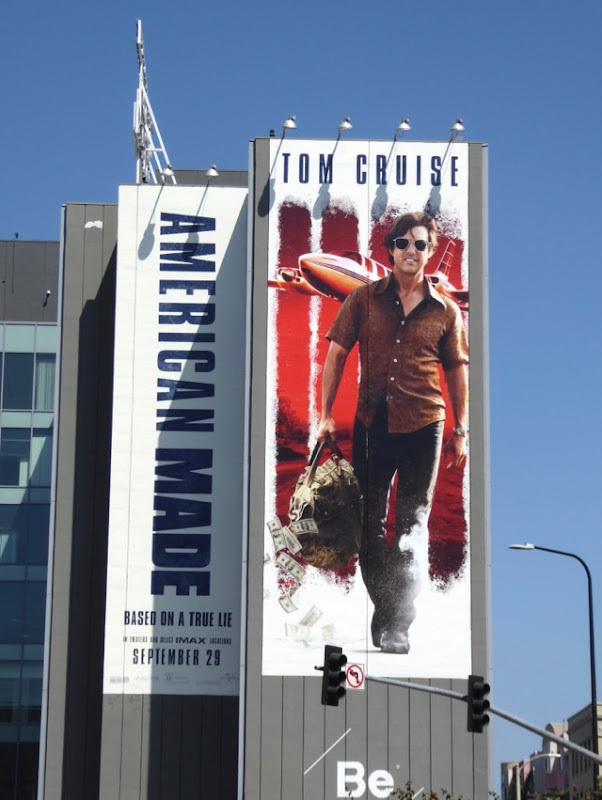 No matter what happens, we're sure that Tom Cruise will be walking away from it all with bags of cash.